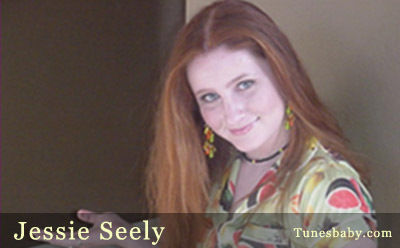 Jessie’s songs are being selected for worldwide play by a growing list of indie music podcasters. Recent industry spins include the “I-M Podcast”, described as the best indie music as programmed weekly by Indie-Music.com. Based on songwriting skill, lyrics, performance, and listener ratings Jessie has been judged “Best of the Best” at Artist Weekly.com. As a result of a nation wide search, her music is up for placement in the 2006 Samsung Fresh Films production project. Regarding radio, her songs have played on the nationally syndicated Mark and Brian show, receiving positive feedback from the hosts as well as their radio audience. This freewheeling vocalist craves the stage! Expect high-energy shows that are passionate, playful and refreshingly unpredictable. Gigs include an invitation to open for Dishwalla at the Key Club in Hollywood. Jessie and her band have also rocked the house at high profile LA venues such as the Hard Rock Café/Hollywood and BB King Blues Club. An acoustic set for more intimate venues is planned to debut this summer.